Summer is slowly creeping away. The days are getting shorter and the sunlight feels different, weaker. Another summer, another year. Soon, the windows will be closed during our sleep. Soon, the box of warm clothes will come down from the closet shelf. 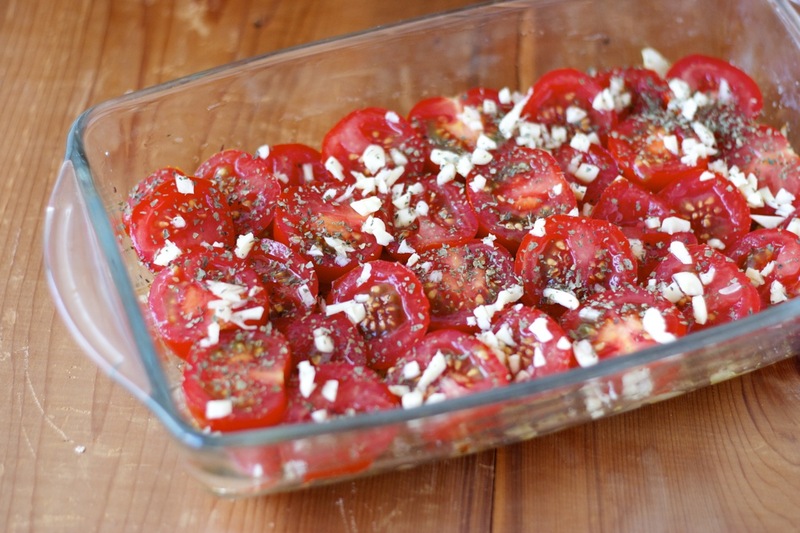 This recipe is my all-time favourite summer dish. 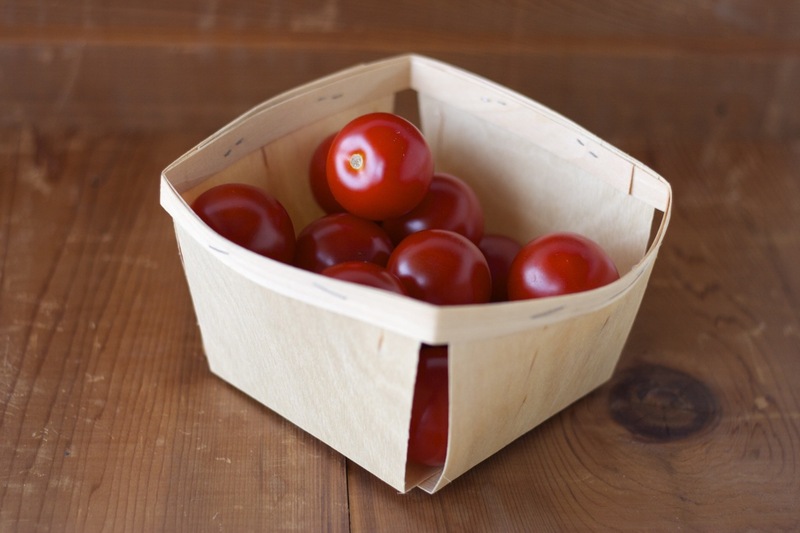 My mom used to make this with juicy and fragrant tomatoes freshly picked from the family garden. 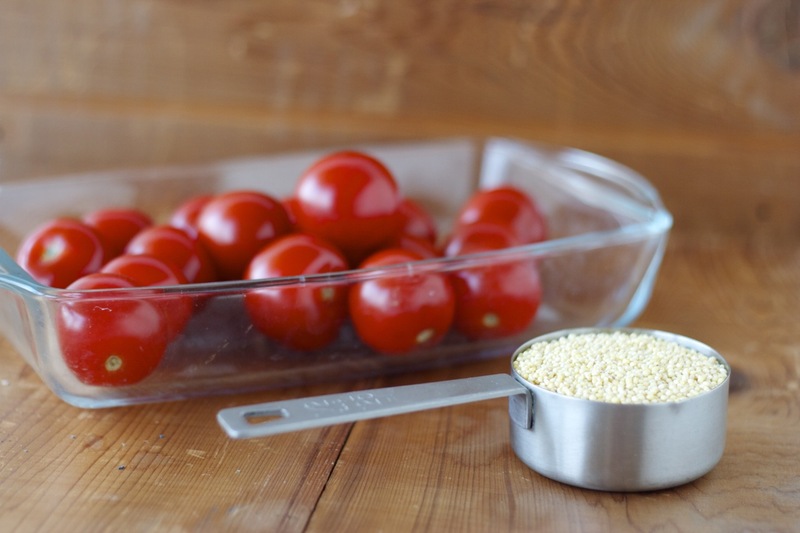 I remember the crunch of the millet and the mildly sweet & tart roasted tomatoes. I could never get enough. Believe me, this dish is delectable. You should consider doubling the recipe. 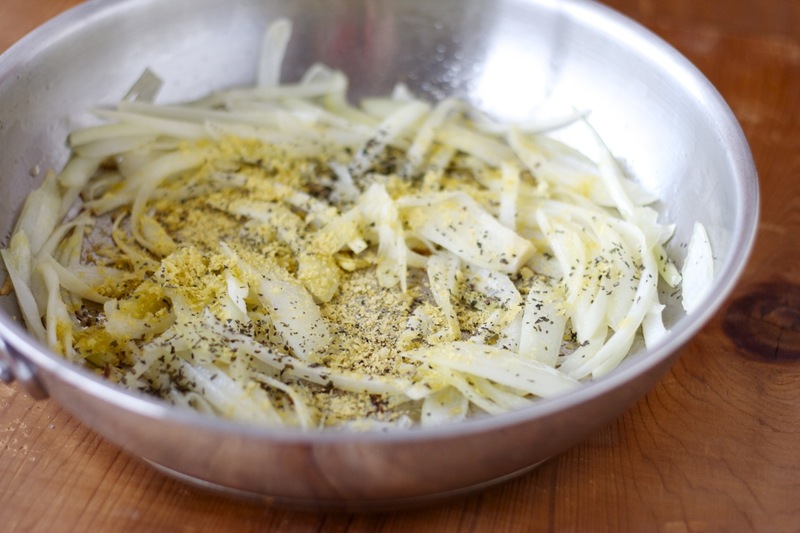 In a medium saucepan, heat olive oil and sauté the onion for 5 minutes. 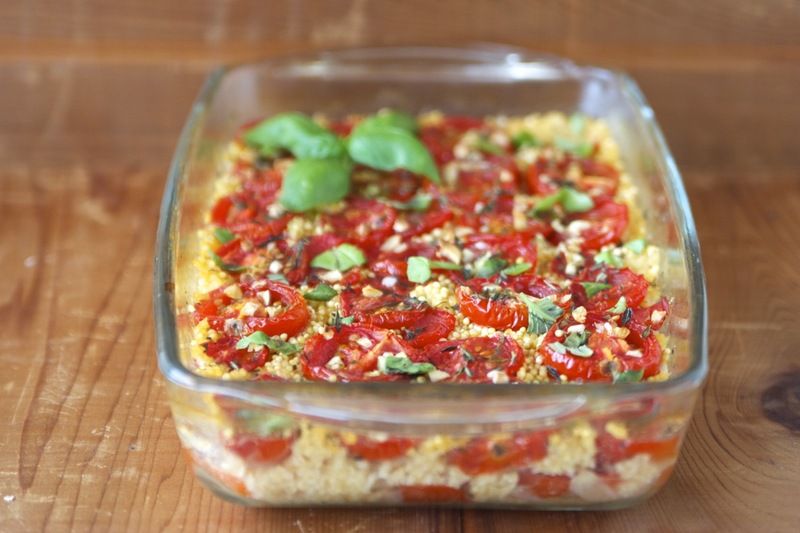 Add 1/4 tsp of dry basil and all of the nutritional yeast, if using. Stir and set aside. Lightly oil a small baking dish and lay the onion mixture at the bottom. 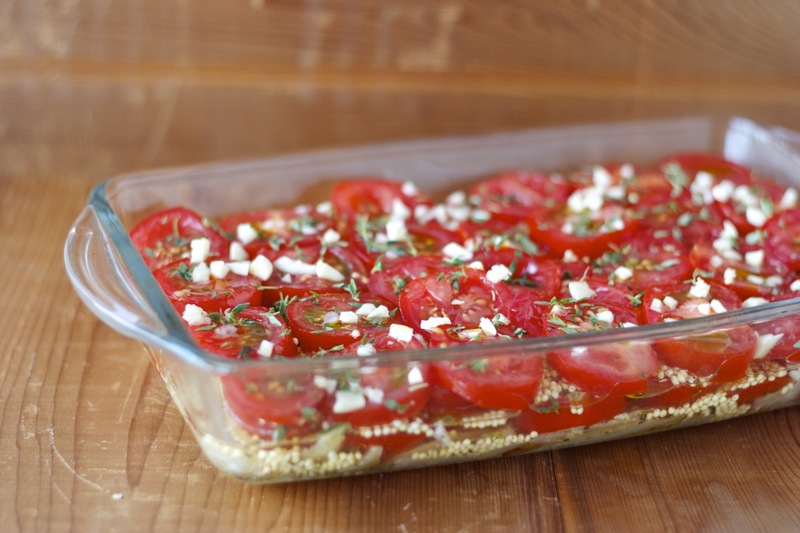 Cover with a layer of sliced tomatoes. 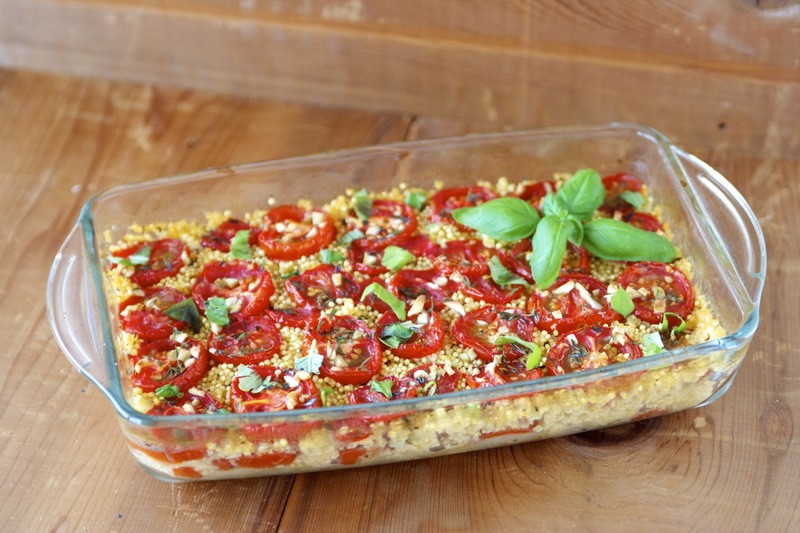 Sprinkle 1/4 tsp of dry basil and half of the minced garlic over the tomatoes. Season with salt. Add the dry millet to the baking dish, distributing it evenly. Slowly pour the boiling water over it. 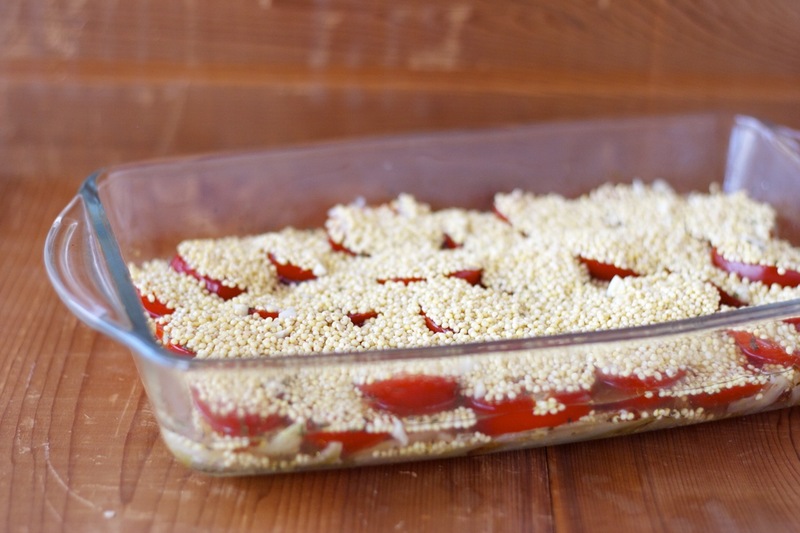 Cover the millet with another layer of fresh tomato slices. Sprinkle with the brown sugar, fresh thyme leaves, the rest of the minced garlic, and lightly season with salt. Drizzle with olive oil. Bake in preheated oven for 40 minutes. After 30 minutes, check the casserole and add a bit more water, if needed. 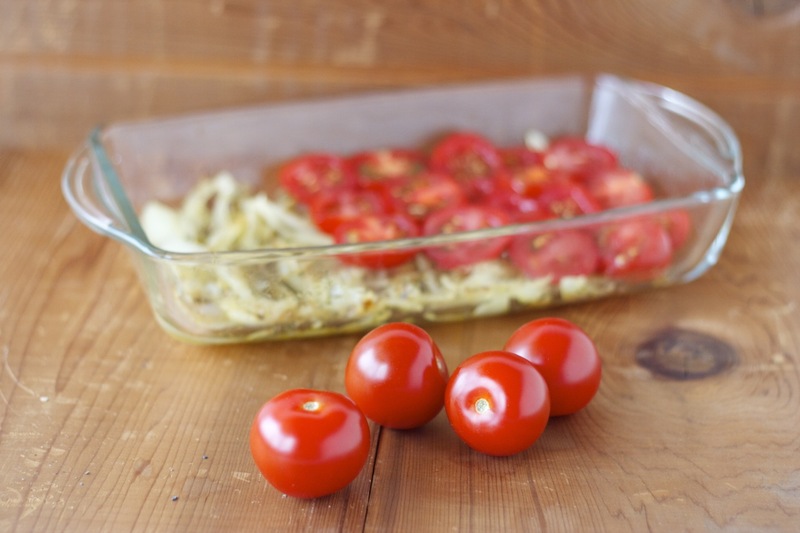 Remove from the oven and let sit for 15 minutes before serving. The millet should remain a little crunchy. Serve sprinkled with fresh basil leaves. Serves 4-6 as a side dish. Recipe inspired by my mother, and adapted from Danièle Starenkyj. P.S. This dish is vegan and gluten-free.